Travelling to Ireland and looking for holiday insurance? Have peace of mind with a Staysure policy where you could be covered for up to unlimited medical expenses and up to £15,000 for cancellation cover*. Find out more about our cover below. When you’re ready, get your quote online or call our friendly team. 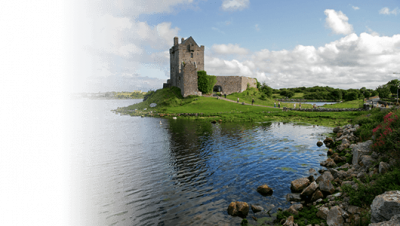 Do I need travel insurance for my holiday to Ireland? When you’re going on holiday to Ireland, it’s a good idea to have travel insurance. Although it’s only a short distance away, having the right cover will help you if something unexpected happens. As specialists in insuring people with pre-existing medical conditions, we believe that insurance is worth doing right. That’s one of the reasons why we’ve been voted as the Most Trusted Travel Insurance Provider for both 2017 and 2018 by Moneywise**. From helping you in a medical emergency, to covering things like stolen possessions and delayed flights, it’s important that you’re confident that the cover you’ve chosen is right for you. Go on holiday with full peace of mind by covering your pre-existing conditions. Having a medical condition can increase your risk of something unexpected happening while you’re away. With 1 in 20 people claiming on their Annual Travel Insurance in 2017***, it’s more common than you might think to have to make a claim. So it’s important to make sure that your conditions are covered on your insurance. Telling us about your conditions is simple. We’ll ask you about the conditions you’ve had, or have had medical appointments for, in the past two years when you’re getting your quote either online or over the phone. Do I need a European Health Insurance Card (EHIC) for Ireland? When you’re going on holiday to Ireland, it’s important that you take a free EHIC with you. Unlike most other European countries if you don’t have an EHIC, you may still be entitled to free or subsidised healthcare in Ireland if you can show proof that you’re a UK resident. Where you’ve had to use your EHIC but still have an excess bill to pay, we’ll help to cover the costs and will even remove our excess cost. Although the EHIC is really useful when you’re going on a European holiday, it’s not a substitute for good travel insurance. ***5.04% of Annual Travel Insurance policy holders claimed in 2017.